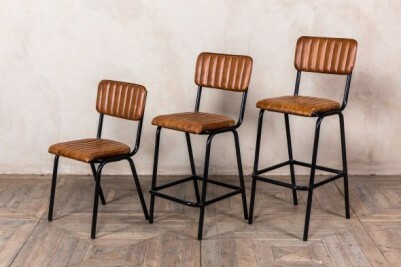 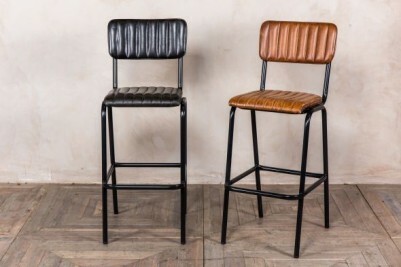 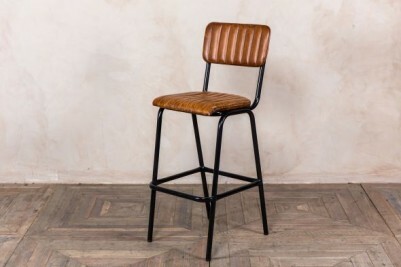 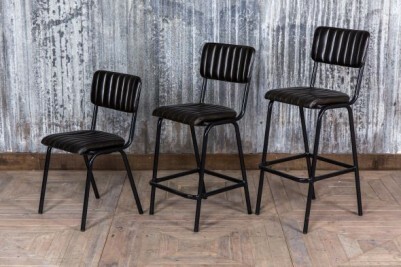 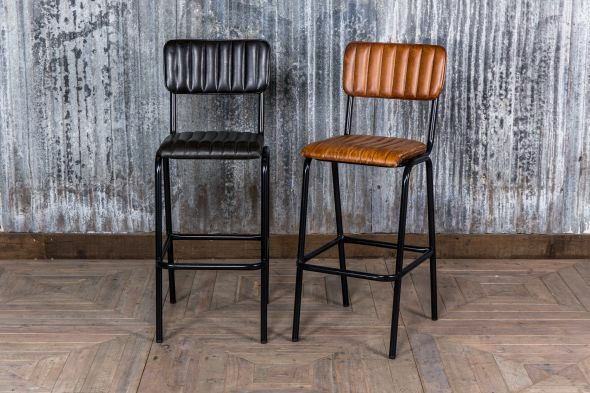 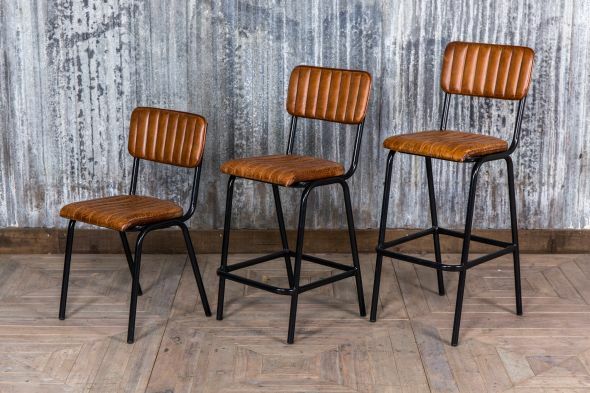 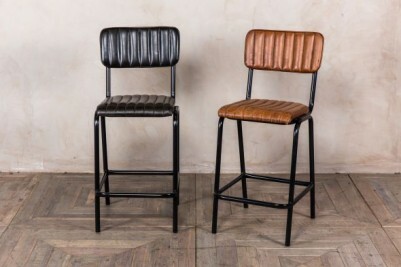 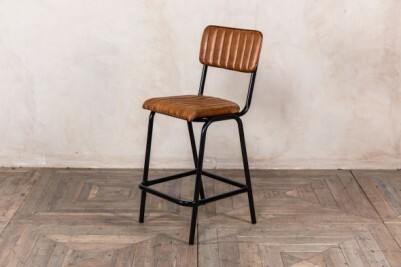 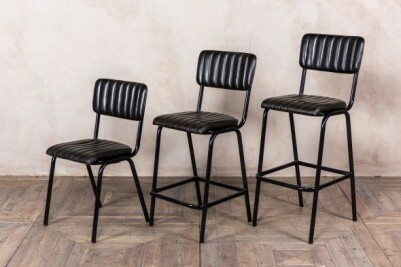 Add class to any kitchen, pub, bistro or restaurant with some of these leather breakfast bar stools. 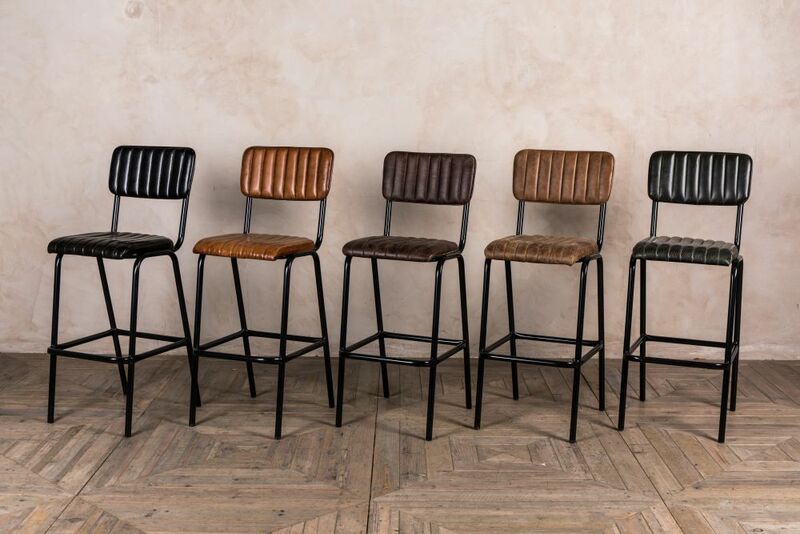 The 'Arlington' stool comes in five colours: tan, black, espresso brown, hickory brown, or forest green. The seats and backs are beautifully finished with ribbed stitching and sit upon a strong, industrial style, steel frame. 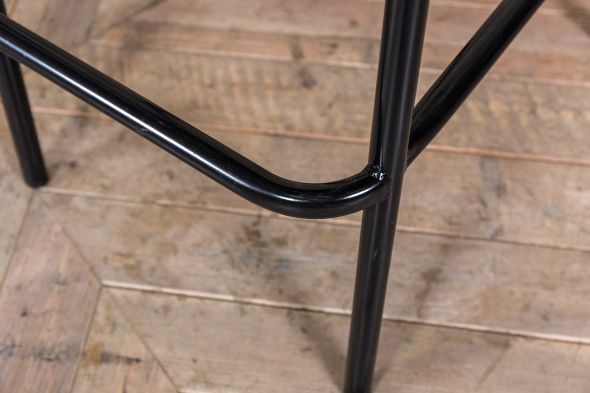 The welded tubular steel frame has an onyx black, powder-coated finish. The frame also has an extended footrest for added comfort. 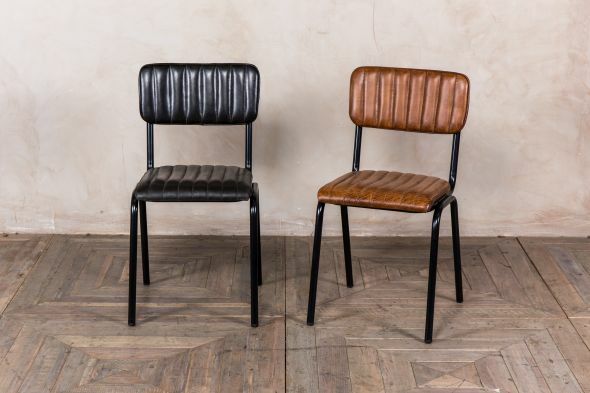 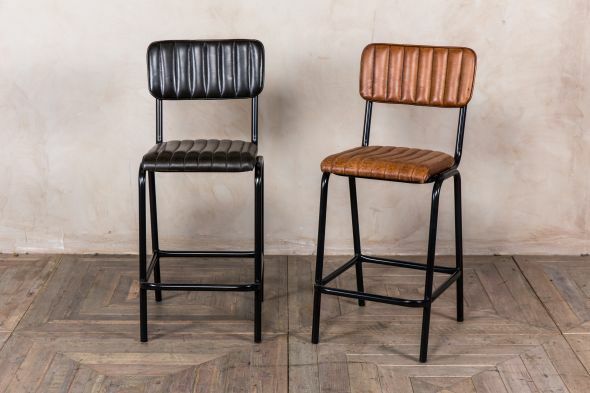 The leather has a slightly aged finish, which gives the stool a much sought-after vintage look. 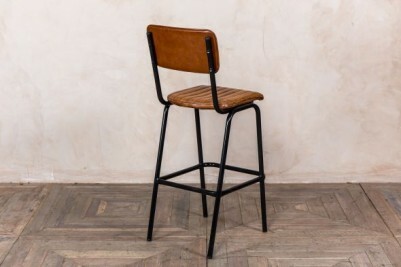 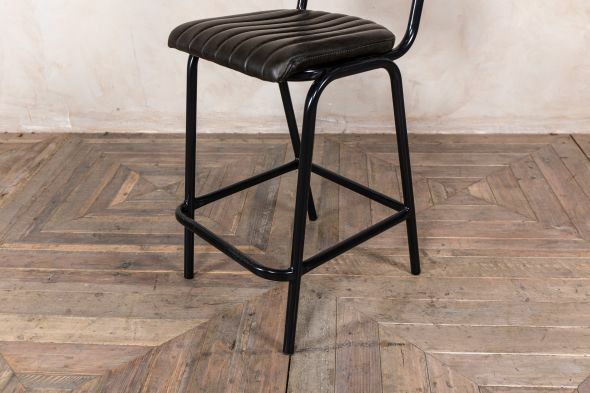 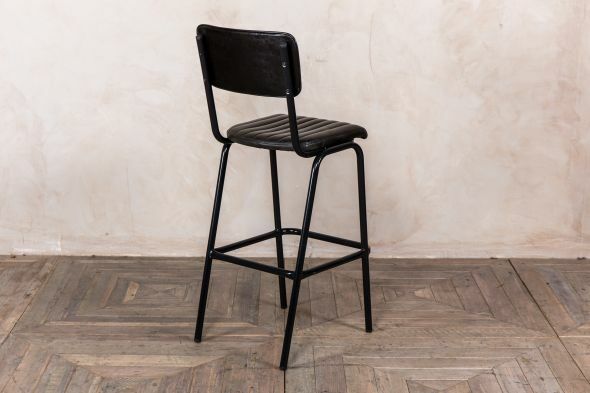 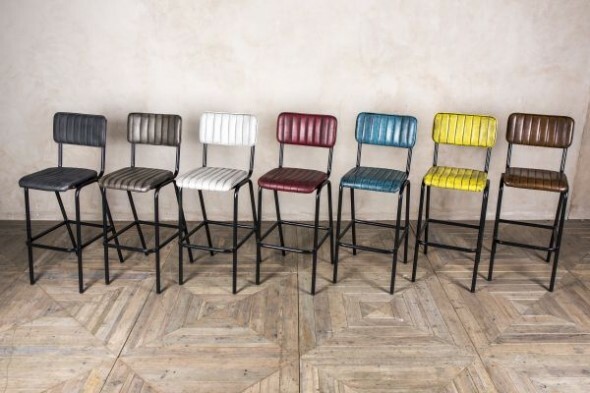 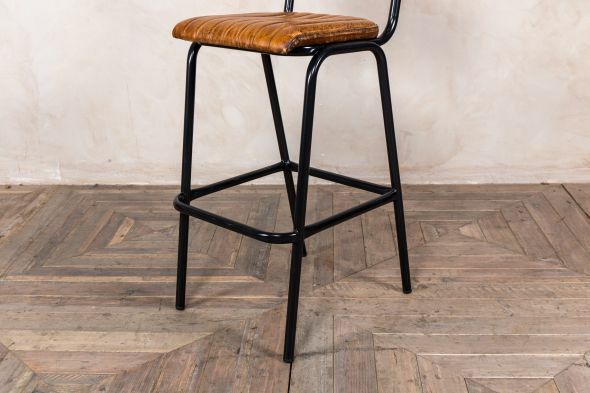 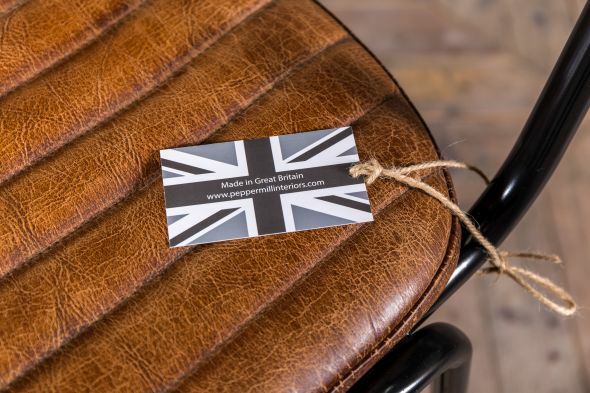 Not only can you kit your kitchen or bar out with this fabulous stool, but you can also complement it with the matching 'Arlington' leather cafe chair. 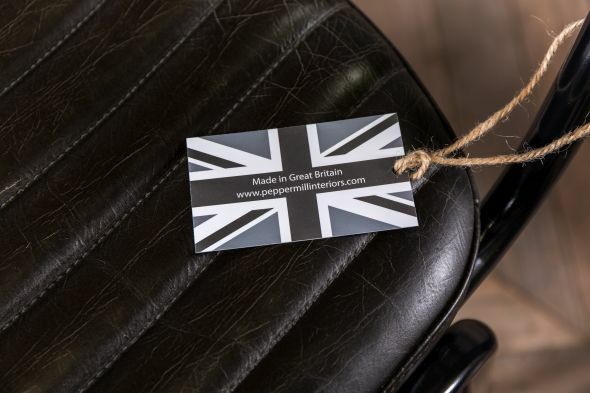 Both items are made in Great Britain! 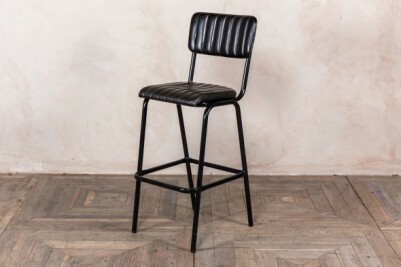 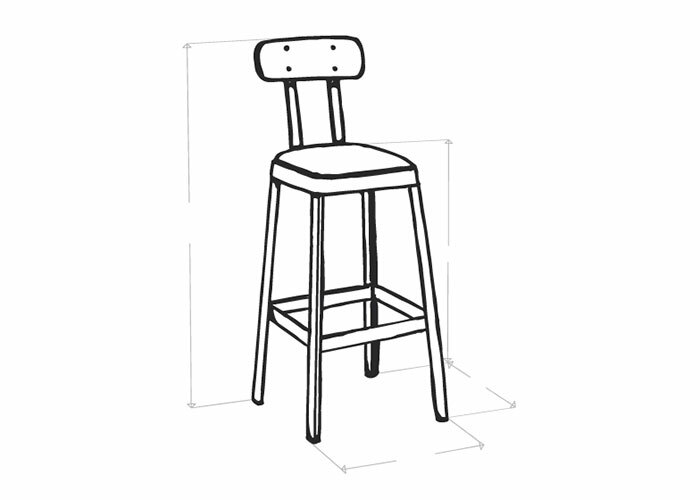 We recommend that you choose the lower stool for breakfast bars, and the higher stool for poseur tables or bar areas. 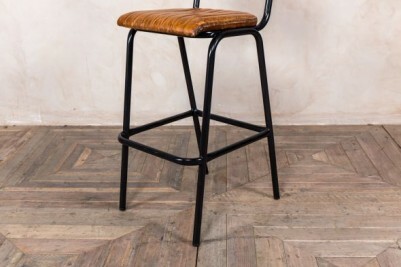 Added plastic feet help to protect your flooring from scratches and marks. 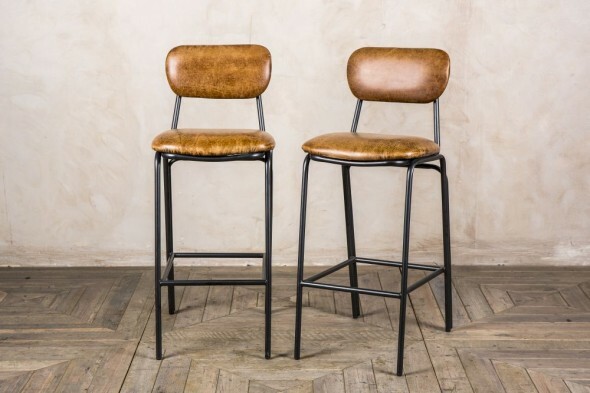 The price is for one of our leather breakfast bar stools, but larger quantities can be purchased.